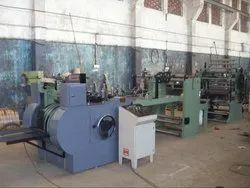 Pioneers in the industry, we offer paper bag forming machine, bagmac junior b paper bag making machine, bagmac junior c paper bag making machine, paper bag making machine model bagmac senior-1, paper bag making machine bagmac senior 2 - iii and bagmac senior 1 - iii paper bag making machine from India. Paper Bag Forming Machine is meant to make paper rolls or printed-paper rolls into bags for packing fast food like bread, loaf, KFC, Paper Baguette bags. Heavy Duty Machine's structure made of Cast Iron, SGS iron gears, SKF ZZ bearings, all electricals made of SIEMENS. We are offering BAGMAC Junior B Paper Bag Making Machine to our clients. Side Bottom Gussete 5cm to 8cm. We are offering BAGMAC Junior C Paper Bag Making Machine to our clients. This machine is used to make brown paper bags used by shopping malls, KFC, Mcdonalds, pharmacy, supermarkets, gift shops, etc. Paper Bags can be used in hotels, laundries, cloth, garments, saris, gold, diamonds, silver, watch, pearls show rooms, temples, super markets, shopping malls, book / fancy/ gift shops, pharmacy shops and in pharma industries to pack pharma especially to carry dry items. Packaging Details: Wrapped with plastic wrapping and packed in wooden cases. 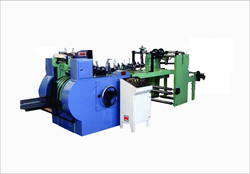 We are offering Paper Bag Making Machine BAGMAC Senior 2 - III to our clients. 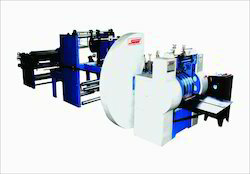 We are offering BAGMAC Senior 1 - III Paper Bag making Machine to our clients. BAGMAC Senior 2 - I Paper Bag-making Machine is meant to make paper rolls or printed-paper rolls into bags for packing fast food like bread, loaf, KFC, Paper Baguette bags. 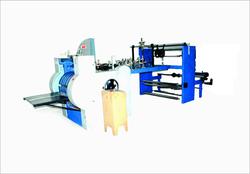 We are offering BAGMAC Senior 1 - II Paper Bag making Machine to our clients. Looking for Paper Bag Making Machine ?